More often than not, car key problems are urgent. Need lost car key replacement in Aurora, Ontario? Count on our fast help! When it comes to lost and broken car keys, our locksmith provides 24 hour emergency service. But sometimes, customers just need a spare key to keep as an emergency solution. We can still help. Payless Locksmith Aurora can duplicate a key or cut & program a new chip key. 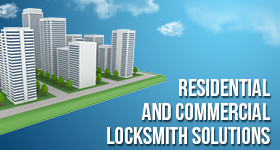 Whatever you need, remember that our locksmith responds fast and offers affordable services. Each and every auto locksmith from our local team is trained to handle car key issues. Keys might get stuck in the ignition, break or get lost. In any case, you can depend on our quick assistance. We provide any service needed to ensure your car is secure and you have easy access. 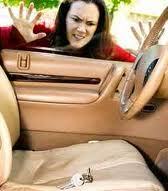 We are available to provide emergency car locksmiths service in Aurora. Get in touch with our company 24/7 if your key is stolen or you are locked out. We resolve any key problem in a jiffy. In order to have a transponder chip car key made accurately, we are well-equipped. There are all sorts of tools in our vans. There is definitely equipment for transponder key programming. Not all car keys are the same. It depends on the car’s make, its model, and the year. We replace nearly all of them. But don’t hesitate to call and ask if we can replace yours. By traveling fully equipped, our car specialists can do their job right. From ignition key replacement to cutting and programming transponder chip keys, you can trust our service. We have great experience, are certified, and remain updated with the most recent models and all changes in the auto & lock industries. What our locksmith guarantees is accurate car key replacement Aurora service, quick help, and 24/7 experts. You also pay less than you would pay anywhere else. Get in touch today if you want to replace auto keys. Trust our service and professionalism.